I am commiting shirk by waxing my body and doing my eyebrows because when you are waxing you are changing the way Allah has made you but am i commiting shirk by doing so? 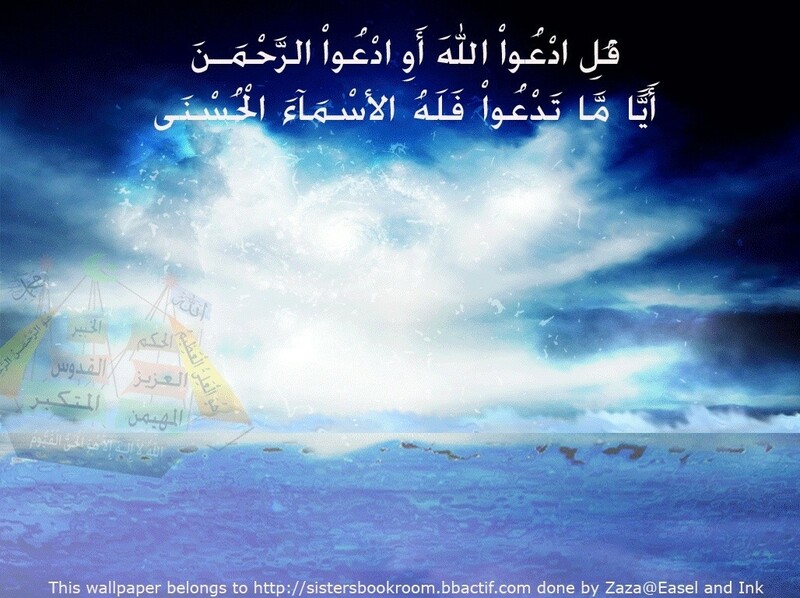 By listening to song lyrics that are shirk or kifr am i commiting shirk? for example a song has the lyrics 'you are everything to me' everything includes god aswell so is this haram for me to listen to? am i commiting shirk by listening to songs that have these type of lyrics in them if i dont actually sing along with the lyrics i just listen to the song?. One of the matters concerning which there can be no doubt is that sins vary in degree, and that there is a difference between sin and shirk. Changing the creation of Allaah by doing that which Allaah has forbidden in pursuit of beautification is undoubtedly a haraam action, and it is a major sin, but it is not shirk or associating others with Allaah in principle. With regard to al-namas, which means removing hair from the eyebrows, there is a text which states that the one who does it and the one to whom it is done are among those who deserve to be cursed. See the answers to questions no. 9037, 20108, 13744. Surgeries that men and women have done to enlarge or reduce any part of the body and change the creation of Allaah in pursuit of beautification are major sins. See the answers to question no. 1006, 47694 and 24215. Shirk or associating others with Allaah is one of the gravest and worst of sins, but not every sin is shirk. Another indication of that is the fact that Islam differentiates between shirk and sin in the same context, and the conjunction indicates that there is a difference. Narrated by al-Bukhaari (2615) and Muslim (89). Sins and acts of disobedience are not major shirk at all, but committing minor sins will soon cause a person to dare to commit major sins, and major sins will soon lead a person into shirk and its branches. Hence one of the salaf said: Sin is the harbinger of kufr, i.e., it leads to it. And some of the salaf called it light shirk or minor shirk. Narrated by al-Bukhaari (3246) and Muslim (124). This hadeeth is a statement concerning this issue, which is that sins do not constitute major shirk. This hadeeth contains a wealth of knowledge, such as the fact that sins do not constitute kufr. But sins, even if they do not constitute major shirk that puts one beyond the pale of Islam, are still branches of kufr and acts of the people of kufr. Chapter: sins are the matter of Jaahiliyyah, but the sinner who commits them does not become a kaafir except in the case of shirk, because the Prophet (peace and blessings of Allaah be upon him) said “You are a man in whom there is some Jaahiliyyah” and Allaah says (interpretation of the meaning): “Verily, Allaah forgives not that partners should be set up with Him (in worship), but He forgives except that (anything else) to whom He wills” [al-Nisa’ 4]. If what the Prophet (peace and blessings of Allaah be upon him) meant in the words “rather it is shirk” was major shirk, then what he meant was that the one who is not one of the people of shirk is safe from the threat of punishment in this world and in the Hereafter that is issued to the mushrikeen, and he is among the guided. But if what he meant is shirk in general terms, then it may said: when a person wrongs himself, such as withholding – because of his love of wealth – and not doing some obligatory duties, this is minor shirk; and loving that which Allaah hates so that he gives his whims and desires precedence over love of Allaah, this is minor shirk, and so on. The one who does that has missed out on security and guidance commensurate with the level of his shirk, hence the salaf included sins in this wrongdoing. Plucking the eyebrows or enlarging any part of the body is not major shirk that puts one beyond the pale of Islam, and there is no difference of opinion concerning that among Ahl al-Sunnah wa’l-Jamaa’ah. But this does not mean that these matters should be taken lightly; rather they are both undoubtedly haraam, and some scholars even called such sins minor shirk or light shirk, because the one who does them is giving precedence to his whims and desires over Islamic teachings, thus taking his whims and desires as a god, and this sinner give precedence to what he loves even though Allaah hates it. With regard to songs nowadays which include musical instruments, there is no doubt that they are haraam and there is no doubt that they have a negative effect on people old and young, male and female, especially those that are shown in videos and accompanied by shameful scenes and indecency which offend every chaste Muslim. For more details on the ruling on this prohibition, please see the answers to questions no. 43736, 5000 and 5011. If the lyrics of these songs include phrases of shirk then there is no doubt about the kufr of the one who says them, whether it is the composer, the singer or one who sings along, if he knows what they mean and knows that these words are shirk. It does not benefit him to say that this is singing, playing or joking. With regard to the listener, if he listens to these words and knows what shirk they contain, and approves of it, then he is their partner in the sin of uttering words of shirk. “And it has already been revealed to you in the Book (this Qur’aan) that when you hear the Verses of Allaah being denied and mocked at, then sit not with them, until they engage in a talk other than that; (but if you stayed with them) certainly in that case you would be like them. Surely, Allaah will collect the hypocrites and disbelievers all together in Hell” [al-Nisa’ 4]. i.e., Allaah has explained to you, in that which He has revealed to you, His shar’i ruling when attending gatherings of kufr and sin: “that when you hear the Verses of Allaah being denied and mocked at” i.e., being taken lightly. This is the duty of every accountable person with regard to the aayahs of Allaah: to believe in them and respect them and venerate them. This is the purpose behind their revelation and this is the purpose for which Allaah created creation. The opposite of faith is to disbelieve in them, and the opposite of venerating them is to mock them and look down on them. That also includes the arguments of the kuffaar and hypocrites and their attempts to show that the verses of Allaah are false and to support their kufr. That also includes attending gatherings of sin and evildoing in which the commands and prohibitions of Allaah are mocked and the sacred limits that He has set for His slaves are transgressed. The limit of this prohibition on sitting with them is “until they engage in a talk other than that” i.e., other than disbelief in the verses of Allaah and mocking them. “certainly in that case” i.e., if you sit with them in the case described above, “you would be like them” i.e., because you have approved of their kufr and mockery, and the one who approves of sin is like the one who does it. With regard to the sentence mentioned in the question, we do not think it is shirk, but it is the lies of lovers. What it means is that the one who is loved is dearer than anyone else, and that winning him or her is more important than any other goal. We do not think that when a person says or sings that it even crosses his mind that Allaah, may He be glorified, in included in these general words. 1 – Because they are words of love that provoke desire and cause fitnah. 2 – Because they appear in songs that it is haraam to listen to, because they are accompanied by musical instruments. Either the subject matter of the songs is indecent, or they are accompanied by haraam musical instruments. This is the haraam song: either the subject matter is indecent, such as describing women and beardless youths, and alcohol, and so on, and this is haraam because of the content of the words; or the subject matter is not haraam in and of itself but if it is accompanied by musical instruments then it becomes haraam because of what is accompanying it. If it is not accompanied by musical instruments then it is not haraam, but if the songs are praising the gods of the mushrikeen, this is haraam and is not permissible, because this is worse than describing zina, homosexuality and the like.